Violating a criminal protective order, sometimes called a “restraining order,” amounts to contempt of court and is a criminal offense under California Penal Code 166(a)(4). The difference between a restraining order and a protective order. If a case is dismissed will the protective order automatically be removed? Judges can issue protective orders in connection with both criminal and civil cases and often issue protective orders in connection with California domestic-violence related offenses. A violation of a civil restraining order is prosecuted under penal code 273.6 and is still a crime even though the order was issued in civil court. And the defendant intentionally violated the terms of the order. If the defendant did not know that there was a protective order in place, then he cannot knowingly violate the order. This includes having the opportunity to read the order even if you did not actually read the order3. If a judge issued an emergency protective order without holding a hearing, the defendant would not know that the order had been issued unless someone, usually a police officer, informed him of the order and served him with a copy. If the police officer failed to provide the defendant with proper notice of the order, then the defendant cannot be convicted of violating the order. 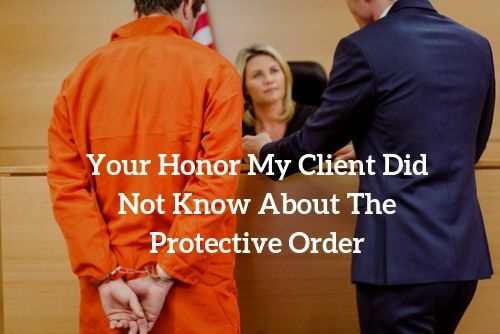 Even if the defendant had knowledge of the protective order and its terms, the defendant still cannot be convicted of violating the order if his alleged actions in violating the order were not intentional. If the defendant was ordered to stay 100 feet away from his wife, but the defendant accidentally crossed paths with his wife in an unexpected location such as at a gas station. What If The Meeting Was Intentional? 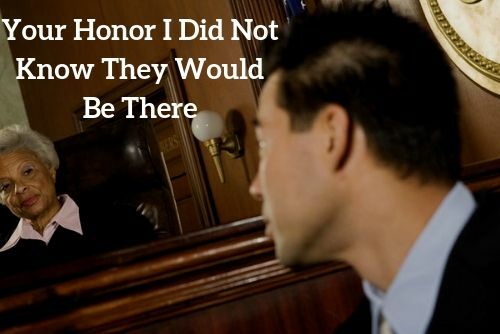 If the defendant intentionally went to see his wife in violation of the order, knowing that he would see her, the prosecutor can prove the necessary intent. This is true even if the victim asked the defendant to meet them. The victim’s invitation to meet is not a defense to violating a protective order. 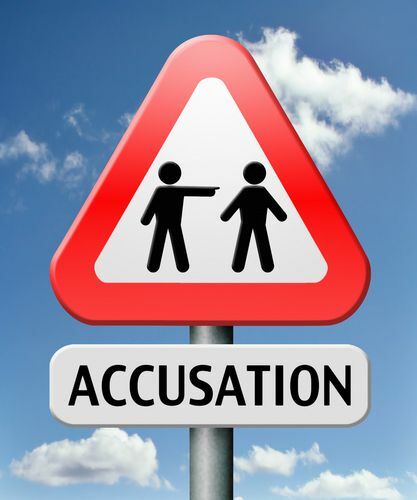 Another available defense is a false accusation. In some cases, a defendant can show that the alleged victim was simply lying when she reported that the defendant contacted her in violation of the protective order. In the absence of corroborating evidence, the case may be reduced to he said/she said situation in which the prosecutor may have a difficult time carrying their burden of proving the case beyond a reasonable doubt. Protective order violations are usually charged as misdemeanor offenses. A misdemeanor offense carries a penalty of up to one year in county jail, probation, fines of up to $1000. 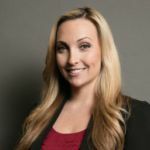 The crime can be charged as a felony under certain circumstances, depending on whether the defendant has previously been convicted of violating a protective order and whether the alleged violation resulted in any injuries to the victim. The penalties can be even more severe, including time in state prison, and fines of up to $10,000. As a former prosecutor, Diana Weiss Aizman of the Aizman Law Firm has extensive experience and unique insight into the defense of charges of protective order violations. Contact the Aizman Law Firm right away if you are charged with violating a protective order under PC 166(a)(4). You are not permitted to have any communication with the protected party, even through a third party. The best way to handle the situation is to have an attorney or the Sheriff assist you in obtaining the vehicle. It depends on whether it was properly served. If you have a court order to have possession of a vehicle and the person who has the restraining order takes the vehicle. Can you be in violation of the restraining order if you send a third party to go retrieve the vehicle from their home? What about filing a TRO response . Through the court clerk who then tells you have to mail it to all parties involved and the Response is filed and stamped and you send it certified mail ? Case was even dismissed . What are the chances of it being prosecuted for a violation ? If the protected party comes to see the restrained at there place of residency is that counted as a violation of said protection order??! The mere sending of an email from the restrained party to the protected party after the issuance of the order is a violation of that order. If there is a criminal protective order and the person being restrained emails the protective party a message that they were going to call the persons job and get them fired, is it a violation even though there is peacefull communication allowed regarding children?